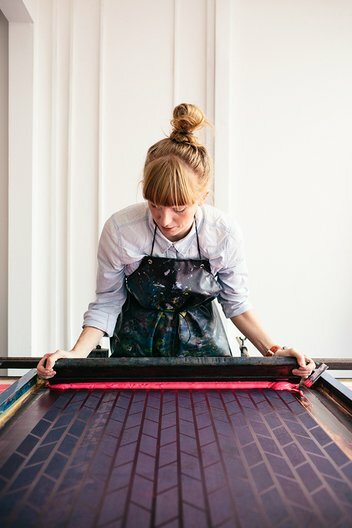 We are thrilled to announce that textile designer Laura Spring has been selected as our Helsinki Design Resident for 2018. 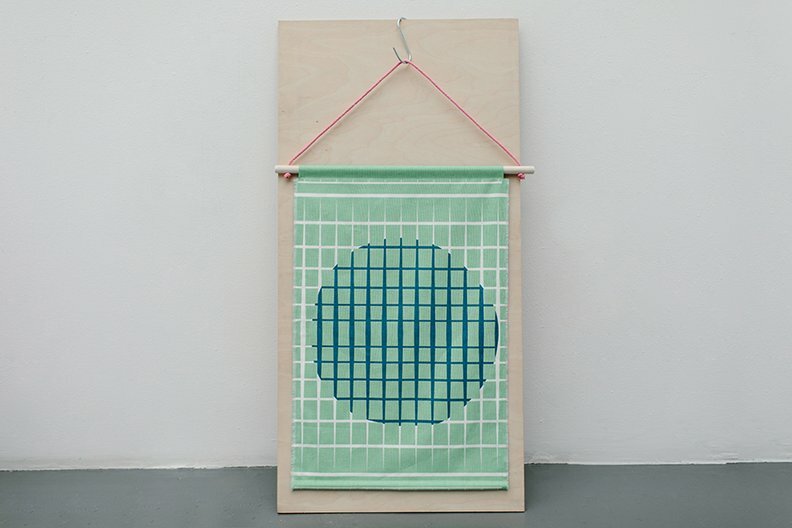 We spoke to Laura at the Glasgow studio, to find out about her work and what she is planning to research in Helsinki in response to this year’s open call theme of Arranging Practice: Proximity, Distance, Instance. Tell us a bit about yourself; your background and areas of interest. 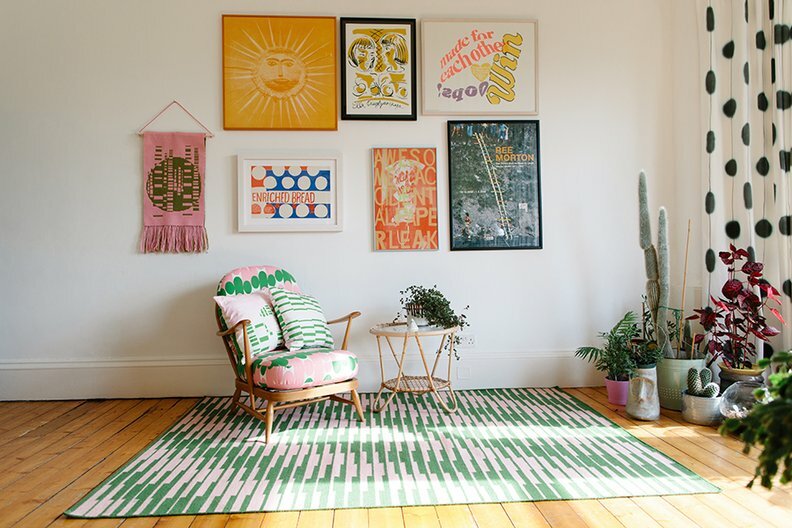 I’m a printed textile designer living and working in Glasgow, Scotland. I’ve been based here since graduating from The Glasgow School of Art in 2002 with a degree in Graphic Design. I run a small independent studio from the north side of the city where I have been making work since 2011. I produce annual collections that I sell via various channels and work simultaneously on projects/commissions throughout the year. 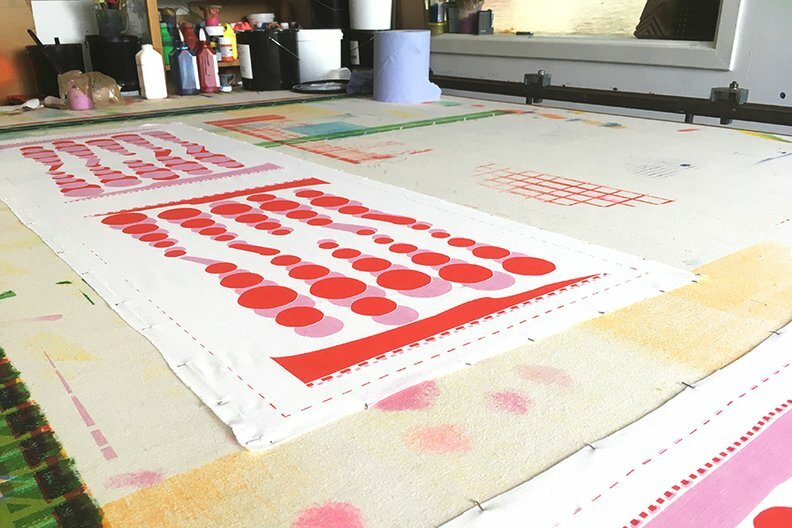 I’m hugely passionate about textiles with a particular interest in how I balance the hand-made and batch-produced as a contemporary creative practice. I’m also heavily inspired by research into traditional making processes as a way to influence and inform my work. What are you working on or researching at the moment? I have recently been researching an ancient Finnish weaving technique known as täkänä. I first discovered täkänä by accident back in 2015 whilst on a residency in Finland. I was instantly drawn to the graphic aesthetics of the designs I saw in the old catalogues I discovered at a flea market but was excited to find further parallels with my own work once I began further research into the technique. Thanks to Creative Scotland funding received last year, I was able to return to Finland and carry out a thorough period of research into the technique by visiting archives and meeting various experts in this field. Why are you interested in Helsinki and why did you apply for the Helsinki Design Residency? 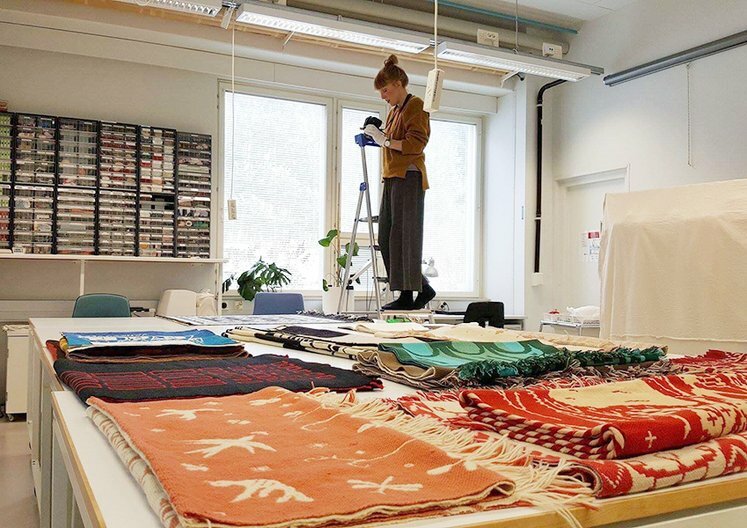 I have been interested in Helsinki for many years due to a huge interest and love for Finnish textiles and design. My täkänä research has brought me back to Finland several times in the past three years, but my visits to Helsinki have always been brief so I’m excited to finally be able to spend a period of time based in Helsinki and build on the connections and conversations I began in those previous visits. The Design Residency appealed to me as the theme of this year’s call (‘Arranging practice: Proximity, distance, instance’) resonated with my thinking as a designer. It seemed like the perfect opportunity to allow me the necessary time and space to further develop my täkänä based work reflecting on its cultural context as well as considering the balance and working methods within my own creative practice. 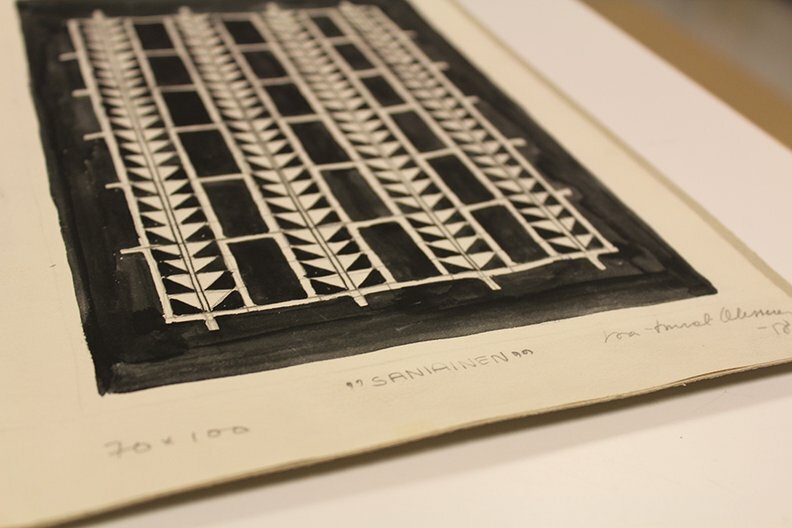 What are you planning to research or produce during your residency in Helsinki? I hope to spend time researching successful contemporary design practices in Helsinki, asking questions regarding the importance of location, collaboration and how they define their practice. This will enable me to reflect and consider my own approaches to creating work, to consider the balance between hand-made and batch-produced and the importance of a collaborative approach to design. I also intend to further my research into täkänä and it is my aim that this research and reflection will allow for exciting new outcomes for my work. Laura will take up her residency in Helsinki from 14 - 27 May and 13 August - 18 September 2018. This year, for the first time, we have also selected a Finnish designer in residence; Laura will be working alongside Elina Laitinen. We look forward to hearing about how their respective research projects will evolve!